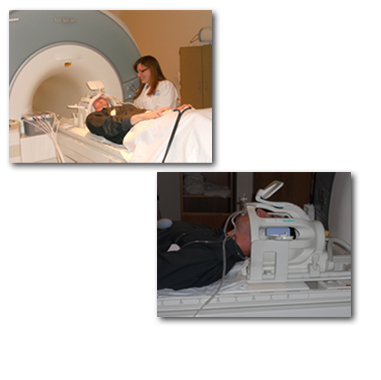 ETT is offering a highly flexible product line in MRI and EEG compatible olfactory stimulation. The Olfactometer has been specifically designed and refined by active testing in research settings. As such, the instrument is designed to provide a direct and immediate benefit to MRI research facilities with little configuration or operator training. 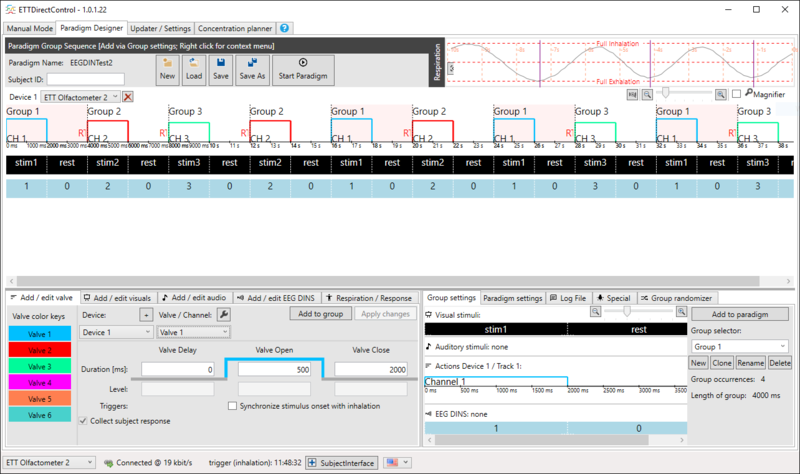 ETT Direct Control software for any paradigm with ETT devices from easy to the most complex scenarios. Supports easy synchronization of device, visual and auditory stimuli including support for subject response, multiple devices, complex external and internal trigger setups, randomization and gating. 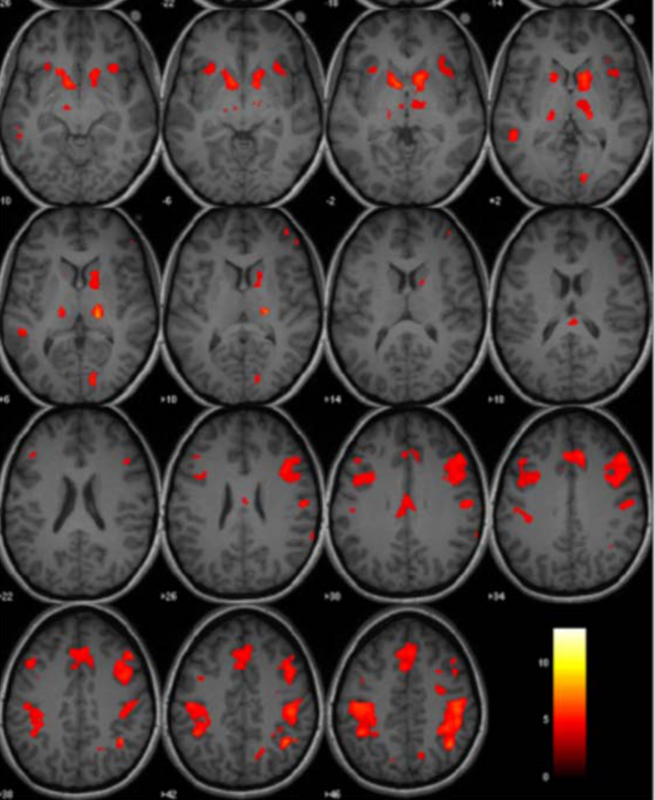 Activation maps from an olfactory fMRI scan using the ETT Olfactometer. Our system enables the researcher to generate significant olfactory activation maps. MR compatible gustatory stimulation with 8 independent channels. It comes with an intuitive touch screen interface, MR-compatible applicator, 8 channel PTFE tubing, high accuracy pumps and a swollow sensor to the package. Like with all of our devices, the ETT Gustatometer can be synchronized and trigger with the MRI RF signal or any other external TTL pulse. ETT is a full service concept, design, prototype, validation and quality-assured production company based in the Harrisburg, Pennsylvania area. Our expertise stems from PhD's in the MRI research fields, electronics production, and business development fields. PhD's in the MRI research fields, electronics production, and business development fields. Welcome to Emerging Tech Trans, LLC. We are a full service concept, design, prototype, validation and quality-assured production company based in the Harrisburg, Pennsylvania area. Our expertise stems from PhD's in the MRI research fields, electronics production, and business development fields. Please reach out to us to discuss how ETT LLC can assist in your science, healthcare or industrial research needs. Meet us at the AChemS 39th Annual Meeting April 14-17, 2019 in Bonita Springs, Florida. Get live presentations of our latest devices. We are pleased to announce ETT's newest commercial offering of a Gustatometer. 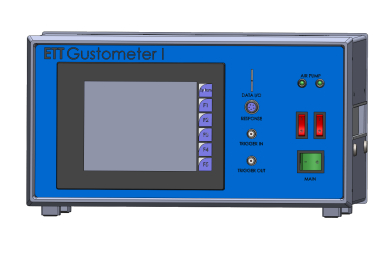 The Gustatometer has been designed and refined for taste stimulation during fMRI studies. As such, the instrument is designed to provide a direct and immediate benefit to MRI research facilities with little configuration or operator training. ETT has released aditional features for the Olfactometer V1 that are available as a free software update to customers. Please contact us to learn how we can continue to enhance the quality and reproducibality of your fMRI research. We are pleased to announce ETT's newest commercial offering of an Olfactometer. 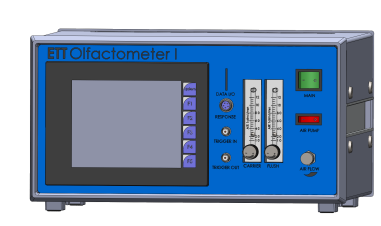 The Olfactometer has been specifically designed and refined by active testing in research settings. As such, the instrument is designed to provide a direct and immediate benefit to MRI research facilities with little configuration or operator training. ETT has a background deeply rooted in MRI research, electronic production, and business development. Click here.We love hearing from you! Let us know how ETT can help with your research needs.